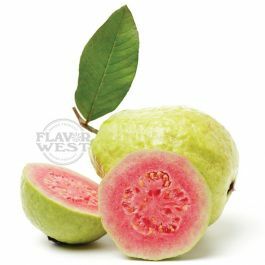 Guava flavor is a unique sweet-tart tropical fruit flavoring with mildly sour taste of guava that brings an exotic freshness to your treats. Type: Guava Water Soluble Flavoring. Ingredients: Natural and Artificial Flavoring, Propylene Glycol. USP Kosher Grade Flavoring. Usage Rate: 15-20% for E-use. Flavor Suitability: Drinks and beverages, smoothie, desserts, pastries, baked treats and more. Specific Gravity: 1.04 No refunds on Flavoring. Vapes quite nicely! Very Tropical and Exotic! Reminds of the Kerns Guava Nectar I drank as a kid! A PLEASANT addition when rotating your Flavors. Mixes well with Coconut and Koolada! Thanks FW!! !